APSRTC East Godavari Region Backlog 246 Posts Vacancies Recruitment 2016 Notification and Application forms can be download at official website apsrtc.gov.in. East Godavari Region wise Vacancies list SC Backlog Posts, Contact basis ST SC Backlog Posts Details. Driver Posts Eligibility, How to Apply RTC jobs. Educational Qualifications, Age Limit, List of Enclosures. APSRTC Junior Assistant Recruitment 2016 Posts at www.apsrtc.gov.in. 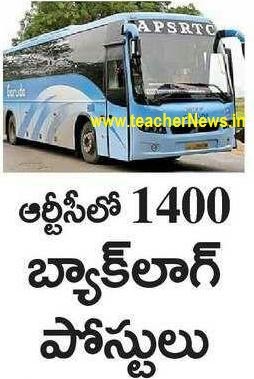 Eligible candidates can submit applications at www.apsrtc.gov.in prescribed format (can be obtained on payment of Rs. 100) at the concerned East Godavari Depot on or from 08-07-2016 to 25-07-2016 along with the following enclosures.